A rainbow trout leaps out of a stony stream. 'Trout Stream' Print is available in several sizes and print options. Click the Order Print button below for sizes, options and prices. 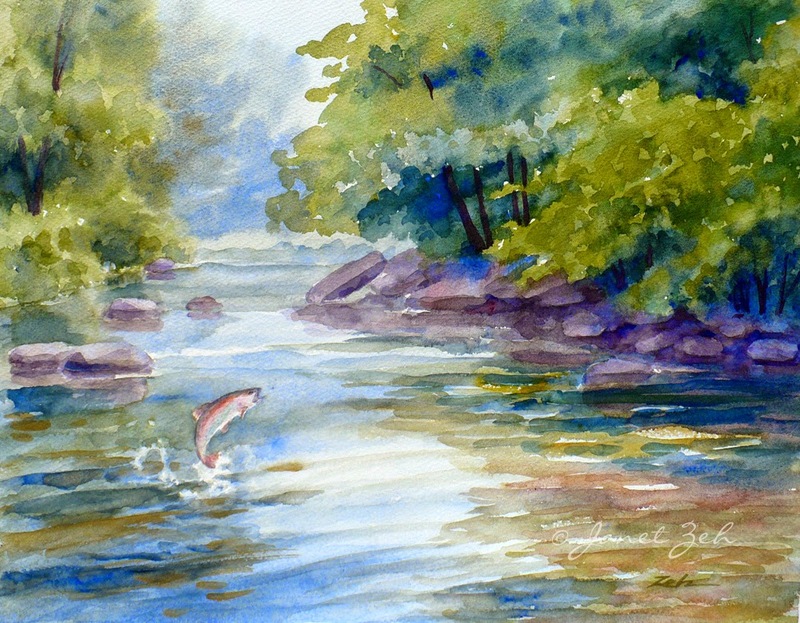 This watercolor was inspired by a quiet river in New Jersey frequented by fishermen. Soft colors invoke the stillness of early morning broken by the splash of a fish as it leaps out of the water. A perfect piece for someone who enjoys fishing!